The Marabou Stark or simply Marabou is a species of stark living in Africa. Thanks to the majestic flight and distinguishable looks, this bird can’t be confused with any other species. They’re widespread over tropical and subtropical areas of Africa. 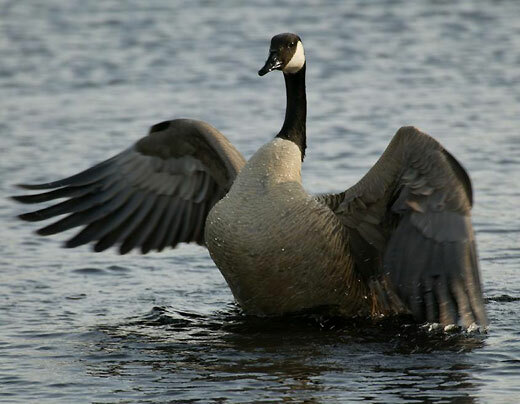 These birds reach a length of 140-152 cm, with a wingspan of over 300 cm. Just like many other carrion eaters’, the Marabou’s head is bald and small, to avoid blood and small parts of dead animals to get stuck within the head feathers. 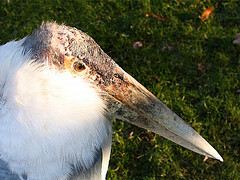 The Marabou has a prominent throat air sack, which the bird can inflate. 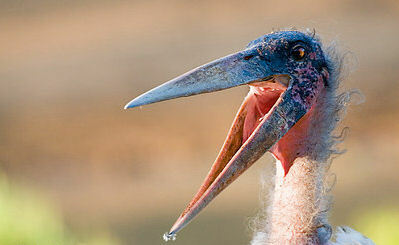 They also have a long, strong beak – a great tool for ripping carrion apart. 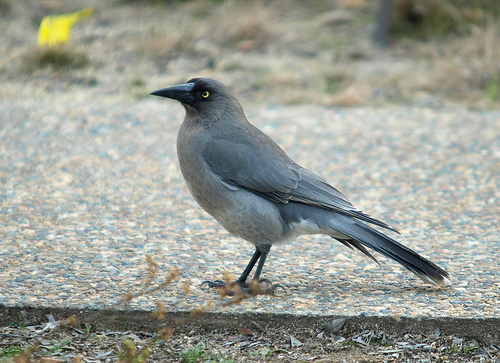 The plumage is mostly gray, with a white underside. The Marabou Stark doesn’t need to drink daily, although they are very common near lakes and rivers. These birds mostly stay at one area for most of their lives. They live in medium-sized groups, which gather in feeding areas. Hot air streams carry this bird high in the sky – up to 4500 metres, where the Stark scouts for dead animals or other food sources such as garbage. When flying, the bird looks majestic, slowly flapping the wings and spending countless hours without descending to the ground. Although the Marabou is a stark, its lifestyle is more similar to a vulture’s. In fact, they are so similar that both the species fight for food. Most of the Marabou Stark’s diet consists of carrion – the bird has no difficulties in opening a large animal’s carcass with the strong beak. Apart from that, they often walk around in the water and catch frogs or water snakes, while on dry land many small mammals become prey of this bird. Even in trees, smaller creatures are not safe, as the Marabou won’t pass an unguarded bird egg or even recently hatched chicks. These birds reach sexual maturity only at the age of 3 or 4 years. After a loud rut, clacking the beak and flying around the potential mating partner, a couple is formed and both the birds build a nest of small branches on a cliff. At the end of the rain season, the female lays 2-3 eggs. The chicks hatch 30 days later and are fed with already digested food by the parents. They learn to fly in about 116 days, but they will still remain with their parents for a few weeks. The life expectancy of this bird is about 20 years. Despite the Marabou’s rather slow reproduction rate, they’re quite widespread. 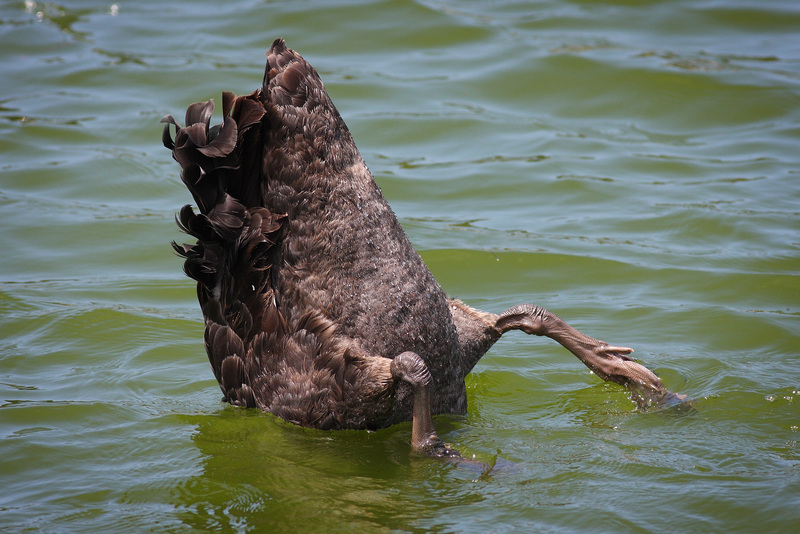 The use of Marabou Stark tail feathers by tailors has damaged populations of this species. Fortunately, the number of these birds seems to be increasing in all areas of their habitation.